We are safely back in Kathmandu from our trek along the Annapurna Circuit in Nepal. 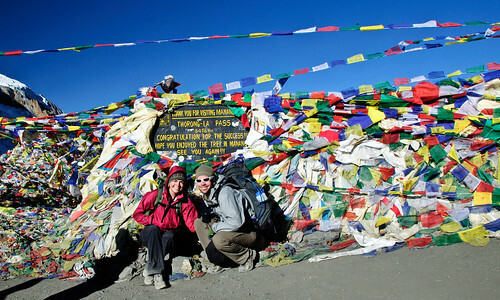 We left Kathmandu on 10/21/10 and finished the trek in Pokhara on 11/3/10, a total of 14 days. The trek was amazing, the scenery was unbelievable and the friends we made along the way made it unforgettable. Here are a few stats on the trip. Trekking 105 miles, Amazing! I'm tired driving 105 miles...you guys are AWESOME!!! Looks like you guys are having fun. The pics are awesome.